Are you looking to develop a specific textile technique or experiment with new ideas? In addition to my scheduled workshops, I also run private sessions. These sessions are lots of fun and are very popular with textiles students looking to develop ideas for their portfolios. If you’re looking for a celebration with a difference, birthday, prom, bridal and baby shower ‘make and take’ events are a great way to get together and make something memorable. 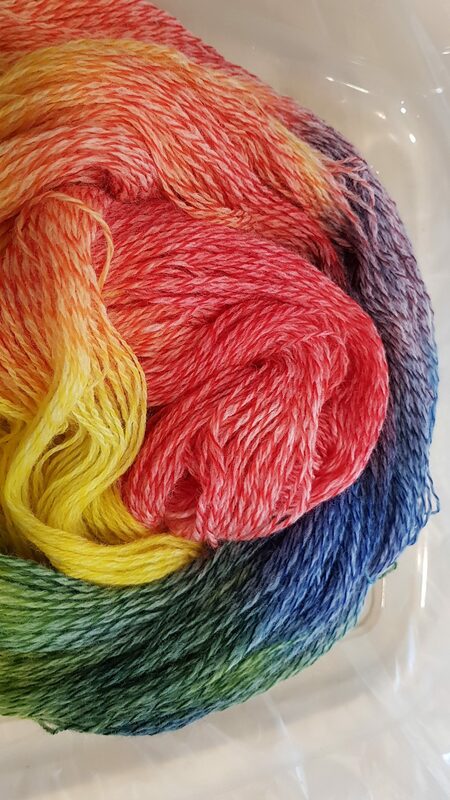 I also work one-to-one with indie dyers who may be starting out or more experienced dyers looking for a bit of a creative injection boost and the chance to test out new ideas! Sessions can be booked for a minimum of 3 hours and I normally arrange these at the studios in Altrincham. Other venues can be arranged on request. If you are not local to Manchester, I can suggest places to stay and if you wish, we can combine a visit with a trip to a local museum, exhibition (or even a night out! ).